Every Bit of Exercise Counts! It’s a 90° sunny day, are you going to go hit the gym or are you going to hang by the pool or chill at the beach? Rather than have the guilt of not getting your workout in or have the mentality that you’ll “start back up in the fall,” why don’t you use this as an opportunity to change things up? With your regular exercise, your muscles adapt. When this happens it is important to change a stimulus in order to continue to see progress, muscle growth, endurance, etc. You don’t need to be in a gym doing 30 minutes on the elliptical or lifting weights in order to get a workout in. Think outside the box. There are many ways to utilize your surroundings to get an extra calorie burn- every bit counts! Swim laps. Swimming is a great form of exercise. It builds endurance, muscle strength and cardiovascular fitness. It keeps your heart rate elevated and takes away the stress of impact on your joints. Whether you’re in a pool, lake, or ocean – there are plenty of opportunities to go for a swim! Soak up the sun while staying cool. Just remember to wear sunscreen! Walk or run in the pool. Did you know you can burn nearly 11.5 calories per minute running in the pool?! Try running forward and backward in the shallow end of the pool. The resistance of the water will really work your muscles and the buoyancy will help keep it easy on the joints! Tread water. If you have access to a deep end, try this calorie burner! Keeping legs straight, raise your right leg in front of you while reaching your left leg toward the bottom of the pool. Bring arms out parallel to shoulders and make small circles, keeping your hands in a cupping motion. Switch legs every 5-10 seconds. Try this for 30 seconds. Rest and repeat! Push up on the pool wall. Bend both knees then press weight through your hands and raise your body up out of the pool, keeping a soft bend in your elbows. Hold for 3-5 seconds at the top and then lower back in the pool. Complete 10-15 repetitions, aim for three sets. Water aerobics. No- I don’t mean the class, although you could do that too! If you’re near a body of water, try exercises such as jumping jacks, jogging in place, high knees, and alternating kicks. Do 2-3 exercises for 30 seconds each with little to no rest. You don’t need to spend hours working out, try throwing in a few of these exercises and enjoy your time outdoors. The more you move, the better! For more health-related tips and information on DHAC, visit our blog page! MAYbe it’s Time For Something NEW! We are halfway through May, National Physical Fitness and Sports Month! At the beginning of the month, we highlighted some events that were being planned in the community. These were to help you meet the challenge of doing 30 minutes of physical activity a day. 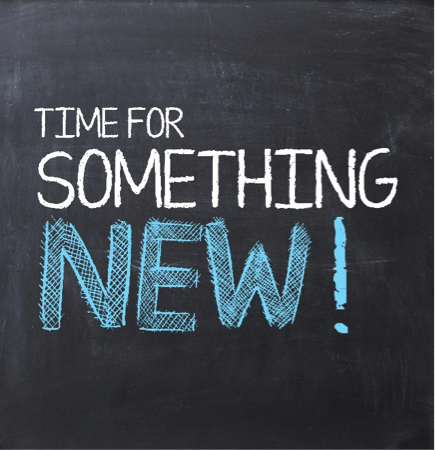 If you are still struggling with getting in the time, or are ready for a change, maybe it’s time to add something new at DHAC. Is there a fitness class that you have been meaning to try? Maybe tennis has been on your radar? Does Pilates or BeatBarre interest you? Have you checked out ALL that we have to offer lately? Most people find that by changing up their routine, they are less likely to become bored. You may also avoid an injury by using different muscles and giving tired ones a rest. Regardless of what you do, the most important thing is that you do something. If you still have questions, don’t forget to ask our expert Exercise Physiology staff for more advice. Not everyone knows how to swim or they may be afraid of the water. Water therapy is performed in a pool that is 4ft in depth. Exercises are done at the side of the pool where the patient can hold onto the wall for support. There are also floatation devices and equipment available for the comfort of the patient. The first session concentrates on the comfort of the patient and educates on the benefits of the water exercises for their specific diagnosis. Waters buoyancy removes the majority of gravity and patients weight bearing (the amount of weight felt through extremities). With decreased gravity, the joints are allowed to naturally separate allowing for more space. With increased joint space, symptoms of pain are reduced and mobility is increased. With decreased pain, patients are able to perform exercises that were difficult or impossible to perform on land. With increased mobility, patients are able to move through an exercise with almost full range of motion. Water adds resistance which is felt through the whole extremity equally. Water is relaxing to the muscles which also gives patients the ability to complete exercises with decreased pain. Even though you may have Hydrophobia/Aquaphobia you can succeed in an exercise routine in the water in a safe and controlled environment. A patient came to me not knowing how to swim and little fearful of getting into the water. We worked together for several weeks and after a few sessions she would stay for a while in the pool to help her get use to it and eventually asked for a floatation device (noodle) to use and tried to kick around with it. She did this every time she was in the water. In time she was staying for an extra hour each session and was able to float and swim around with the noodle without fear. She eventually joined our 60/60 program and participated in Water aerobics several times a week. She was pleased with her results from water therapy and it had given her the motivation to stay longer in the water and try new things. For more information on Aqua Therapy at Dedham Health, visit our website! Swimming is one of the most important skills you can learn as a child. Hands down. No question. As far as I am concerned it is right up there with learning your ABC’s and 123’s. If kids don’t have the exposure and experience they need, water can be extremely dangerous. As a swim instructor with ten plus years of experience, I have worked with hundreds of kids learning how to swim. I have taught kids of all age ranges and skill levels, and while each one was an individual with their own needs and ways of learning, there are always a few general tips or pointers I try to offer to first time parents on how to make things run a little more smoothly. A first swim lesson for a young kid is usually a tough one. Not only does your child most likely not know how to swim, but you’re asking them to get in the water with someone they’ve never met, in a place they have probably never been, with a bunch of kids they don’t know. Sometimes it takes a little while for kids to adjust. Most of the time this difficulty extends further into the classes. The best way to deal with a child who is giving you a hard time about getting in the water is to be consistent. Baby steps are okay, in fact, they are good. They don’t want to get in the water with the instructor? That’s fine, sit on the side and watch. Put your toes in the water. Kick your feet on the side. Little things like this will help your child get acclimated to this new environment. Sometimes kids can be stubborn, and I mean really stubborn. Sometimes getting in the water is just something they will not do willingly. But, you don’t learn to ride a bike from watching your friends ride by you. You don’t learn to write your name by staring at letters until you can draw them. And you don’t learn to swim by sitting on the side and watching. As we know, swimming is an essential skill, so overcoming their resistance is necessary. When I’m dealing with a really tough cookie, I’ll often tell the parent to pick them up and hand them over to me in the water. Yes, there’s crying. Sometimes yelling, kicking, screaming, etc., but your child will eventually understand that this is not optional. A big part of not wanting to get in the pool with a swim instructor has to do with you being there for them to fall back onto. I’ve had tons of success with parents giving me their kids and stepping off the deck for just a minute while I work with the kid to get them more comfortable. Many of the kids that I currently swim with today started off in this boat. In fact, one of my top swimmers on the swim team here at Dedham Health started off leaving scratch marks on my shoulders in our first class together (he was 3 at the time). Ultimately, nobody knows your child better than you do. You will always know what needs to happen for your child to have the best experience they can. Hopefully, this has been a little insight into how to get your child acclimated with being in the water. Always remember that even though swimming is an immensely important skill to learn, each child has his or her own way of doing it. 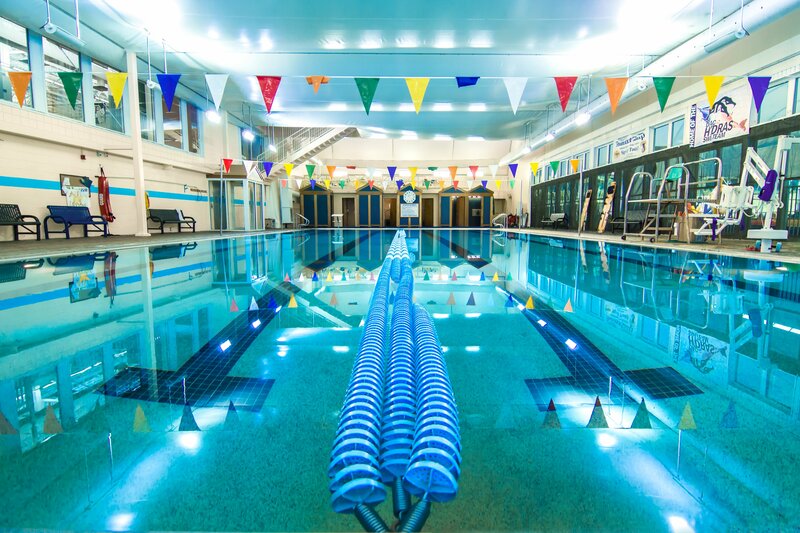 For more information on the swim program at Dedham Health, visit our website! School’s Christmas vacation break is right around the corner! For some of us, that means time to travel; hopefully to somewhere warm! If you are traveling to a sunny destination, there’s guaranteed to be a lot of swimming. Don’t forget that most kids haven’t been swimming since summertime lessons, so here are some tips from Sue Mackie, Executive Director of the US Swim School Association (USSSA) to keep your children safe in the pool. · Create a verbal cue that must be given by an adult before any kids can enter the pool. · Gather the adults of your extended family if cousins and relatives are swimming together and create an agreed upon set of pool rules before the kids are allowed into the water. · Select a parent to be the designated “water watcher”. This adult should not be drinking alcohol while children are in or near water. · Take time to familiarize your children with the pool they will be swimming in, i.e. where the shallow and deep ends are, where stairs to get in and out are located, where they can and cannot swim. · If visiting a hotel with an indoor waterpark, do not rely on lifeguards to constantly monitor your children. You cannot be sure how experienced a lifeguard is and should never assume. It might take a new guard time to notice an unsafe situation in a crowded pool and you need to be ready to react first if your child needs help. · Do not use water wings or pool floats as a substitution for supervision if your child is not a strong swimmer. · Cold weather destinations are not a guarantee of safety. Children still need to be watched around water that appears frozen and should not be allowed to walk on frozen ponds, lakes, creeks or other bodies of water because it could easily crack and trap a child under the ice. · Don’t let your kids go to the hotel pool by themselves no matter what their age, and always be sure to check that a licensed lifeguard is actually on duty. Looking for swimming lessons near you? Visit our website for kids program information!